Systemic racism, or just racism? “Systemic racism” means that the system is racist. It means that something in or about the system is systematically providing white people with advantages while consequently disadvantaging people of color. The intent of the system does not always seem or mean to be racist, but nevertheless, the results are. 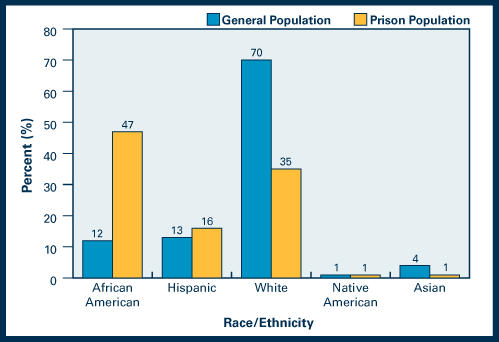 Statistics on things like wealth distribution, employment, incarceration rates, and other social phenomena strongly suggest that systemic racism is indeed a problem in the United States. Yet, I often get the feeling that people don’t buy it—that they think that “systemic racism” is just a term invented by Black Lives Matter members to make excuses for their own failures and shortcomings. But the statistics remain. The racial disparities are real. And if systemic racism is not the cause, then some other phenomenon must be. I’m not saying that all systemic-racism skeptics are racists. However, I can’t think of any other way to rationally explain the statistics, the facts, surrounding America’s racial divide other than actual racism. You either need to believe in the existence of systemic racism, or you almost by default need to believe in some racist ideas. Take student test scores for example—the racial disparity between black students and white students commonly referred to as the “achievement gap.” If you believe that black students and white students are born equally capable of succeeding in school, equally intelligent and talented, than you have to believe that there is something in the system, something in society that creates the results that we see. It could be due to inequitable funding between schools, or test questions that cater to a specific cultural group, but it certainly is not due to a lack of intelligence or capability in black children, unless you’re a racist, that is. And then there’s poverty. Black people live below the poverty line at more than twice the rate of white people. 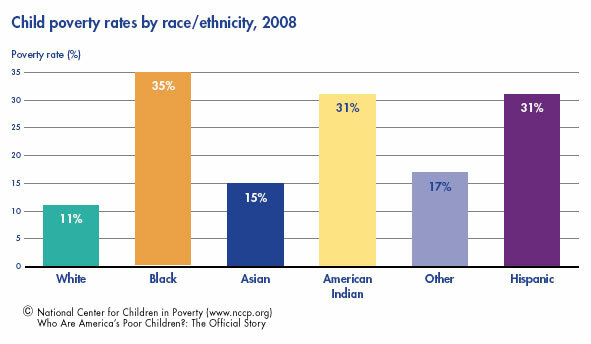 Black children are more than three times more likely to be living in poverty than are children who are white. Why? Is it because black people are incapable of performing the work demanded by higher paying jobs? Is it because black people are allergic to money and success? Or is it something systemic—some kind of hidden societal mechanism that borns blacks into poverty and works throughout their lives to keep them from getting out? Unless you’re a racist, the answer has to be the latter. We are now a half-century removed from the Civil Rights Movement of the 1950s and 60s, a movement that saw black people finally gain access to many of the protections and liberties that they had been denied since their arrival on this continent. 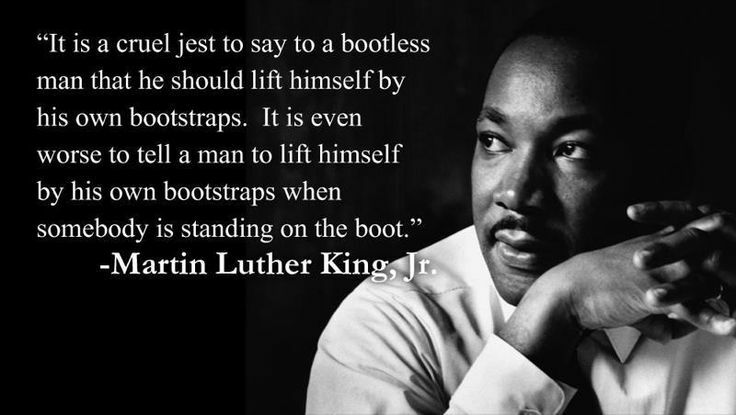 Yet, even Martin Luther King knew that political equality would be the easy part of the African American struggle. In the struggle for what he called “genuine equality,” King said that things like integrated lunch counters wouldn’t be enough. After all, “What does it profit a man to be able to eat at an integrated lunch counter if he doesn’t have enough money to buy a hamburger?” King was talking about the economics of systemic racism—the enslaved and oppressed history of the black race that entrenched its people in poverty, and the prevailing structures and attitudes that make it difficult for them to escape it. The Civil Rights Movements won many important battles, victories that deserve to be celebrated, but the struggle for genuine equality was not resolved then, and it remains unresolved now. Systemic racism is a real thing. It’s the left overs and continuation of a racist past, the remnants of the racism that didn’t go away with the abolition of slavery and the desegregation of schools. It’s the cogs that continue to turn deep within the societal machine keeping black people in America underpaid, undereducated, and their lives undervalued—the pumping pistons that perpetuate the imprisonment of their people, or worse, leave them face down in the streets as victims of violence, violence that is all too often inflicted by the system itself. 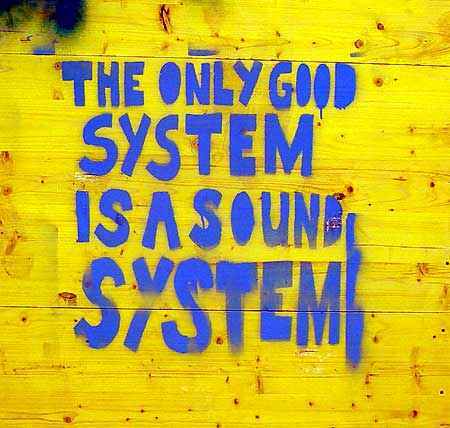 And if you’re willing to accept that the system is racist, that systemic racism is a real problem in United States that needs fixing, than you also have to accept that there is only one way to fix a systemic problem: change the system. Should we be more lenient with African Americans when it comes to crime? Should we educate the minorities more because they “have it worse”? Should we increase the salary for someone of color, though they don’t have the qualification? I sound like some hardass conservative with no knowledge of the current racial divide that’s been hanging over our heads for centuries. Whether I am or not, I still beg the question… How then, do we change the system?